Braglia, high quality 100% italian charcuterie, salami and cold cuts. We season our hams, salami , and bacon. 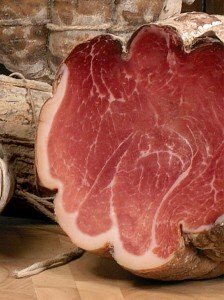 Braglia® offers the best tradition of the Italian charcuterie, like high quality raw hams, national and local typical delicatessen. 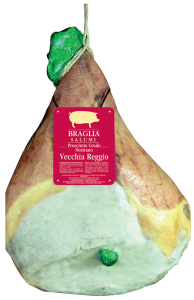 Braglia® has always been a synonymous of High quality and it ranges from raw and cooked hams to salami and bacon. 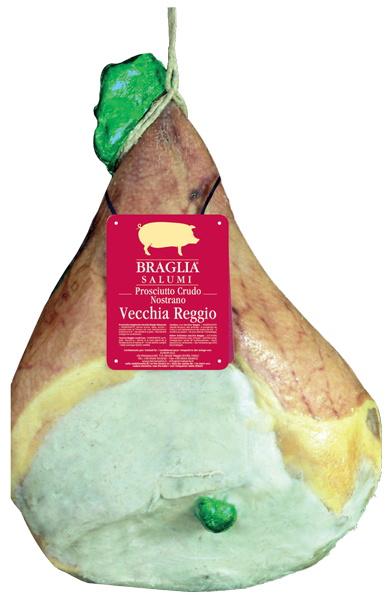 This brand highlights the best of both Reggio Emilia, with Vecchia Reggio® Cured Ham, as well as Italian Tradition. Highly selected meat, first cuts, and care in seasoning contributes to obtain first quality products. In fact, firts choice meats, quality of manufacturing processes, experience and care in seasoning contribute to obtain a full range of cutting charcuterie suitable for catering industry and renowned grocer’s. Braglia® merges the authenticity of tradition with the safety of modern production technologies: an excellent product both in taste and in quality! The different cuts guarantee a large offer of meats satisfying the expectations of the most demanding customers. Taste and genuineness merge into a product line meant for the most demanding customers. Braglia® means flavour and taste of the true Emiliana tradition. Braglia®, flavour and genuineness of the ialian excelence.